This is a one year course in eBusiness, Information Technology and Office Administration leading to a QQI Level 5 Award in eBusiness. 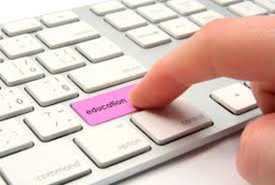 There are twelve modules on the course including: eBusiness, The Internet, Web Authoring, Desktop Publishing, Database Methods, Spreadsheet Methods, Computer applications (Access, Excel & PowerPoint), Word Processing, Text Production, Computerised Accounts (TAS Books), Practical Book Keeping, and Communications. Learners complete a block of Work Experience in a company during the second term giving them the opportunity to practice skills and knowledge acquired on the course. This is a very important element of the course where CVs are prepared, interview techniques are practiced, and mock interviews are arranged. Many of the modules contain important elements of continuous assessment including: written examinations, assignments, reports, oral presentations, skills demonstration, student records, collections of work, projects and portfolios. These assessment results form a very significant part of the overall final grades.